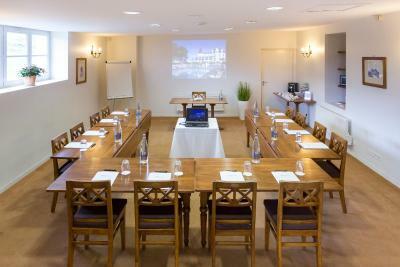 Lock in a great price for Hotel Restaurant Spa du Tumulus Carnac – rated 8.8 by recent guests! We were in a separate room adjacent to the main facility. The view. The pool. Location of hotel is quiet and easy walking of town. Parking was also good. Wonderfully located hotel for all the local attractions. Close enough to walk to the town, the beach and the menhirs. Beautiful views from the hotel over town and coast. Nice swimming pool. Very friendly staff. 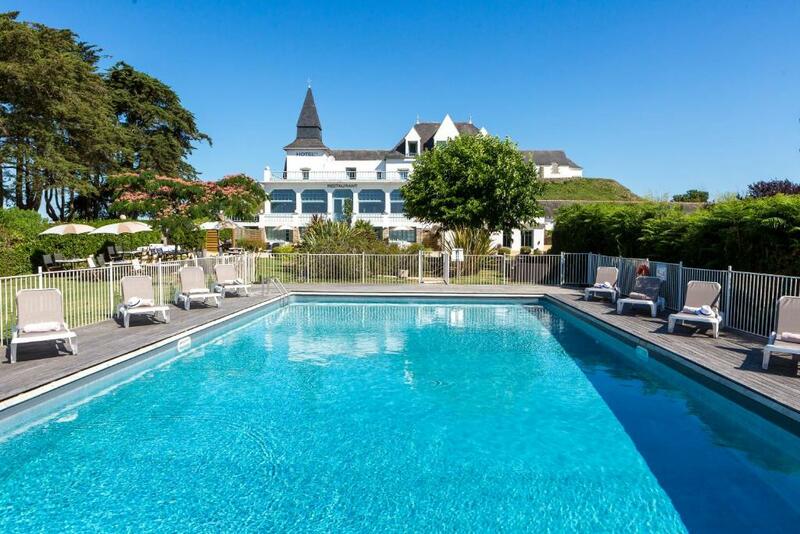 Beautiful location with the best overlooking to Carnac and the sea. Room new, clear and clean with sea view (room 12) Staff very nice and accommodating. Just next to the historical places and very close to the center town. It was a pleasure. Very friendly, quite, clean and enjoyable atmosphere in a well combination of historical and modern building. We were in the annexe, perfect for us and our cars for parking and security. The normal parking facility. was also good. The food, service and staff were excellent the pool warm and chlorine free!! The staff were very friendly and wecolming nothing was any trouble and the food was outstanding. 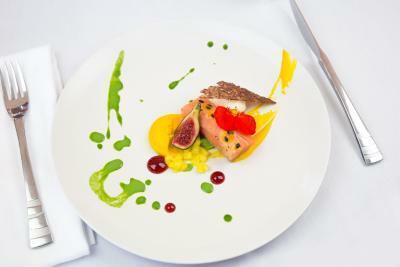 The ambiance and location combined with excellent and helpful and cheerful staff. This 20th-century hotel features an outdoor swimming pool and a large terrace with panoramic sea views. It is located in southern Brittany. There are elegant bedrooms and suites with garden terraces. Each room is equipped with a TV and a telephone. Some rooms feature a seating area. 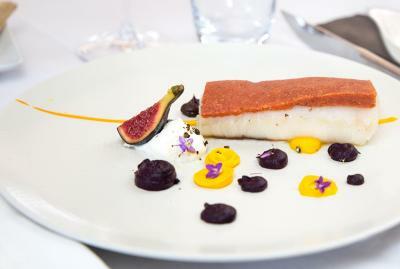 Seafood is served in the hotel restaurant, with views over Quiberon Bay. Guests can dine on the terrace during summer. The spa offers a wide range of massages and treatments at Hotel Restaurant Spa du Tumulus Carnac. 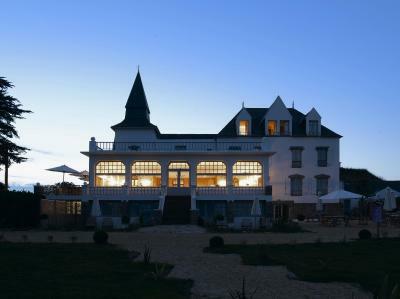 When would you like to stay at Hotel Restaurant Spa du Tumulus Carnac? 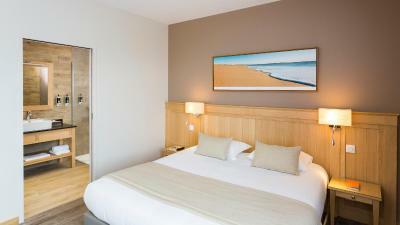 This room includes a private bathroom with a bathtub and a panoramic view of the Quiberon Bay. This classic room offers a view of Saint-Michel, the grounds or the chapel. This suite includes a TV and a private bathroom with a bathtub and a shower. Extras include a private terrace with deck chairs and garden furniture. This spacious room offers wired internet access, garden views and a flat-screen TV with satellite channels. The private bathroom features a bath or shower. 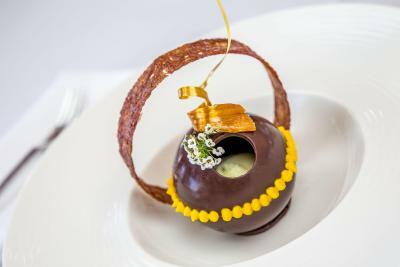 House Rules Hotel Restaurant Spa du Tumulus Carnac takes special requests – add in the next step! Hotel Restaurant Spa du Tumulus Carnac accepts these cards and reserves the right to temporarily hold an amount prior to arrival. Extra beds and baby cots are subject to availability and are only available upon prior reservation. Rather a soulless hotel with a poor, limited and overpriced menu. Bar staff haphazzard if you could find one. A shame because staff seemed happier clearing glasses from the restaurant than serving paying guests in the bar, poor management obvious! Room was nice, but a little dated, water, tea and milk not replenished. We expected to be in the main building, and ended up the furthest room in the garden (room 1) and in the annex house on the other side (room 2). Softener in sheets and towels should be avoided. It was hot during our stay and we would have liked lighter meals than those offered in the hotel restaurant e.g. salads. However, there are several restaurants within easy walking distance. Excellent hotel, very well managed. Very helpful staff who arranged everything for a visit to Belle Isle sur Mer. Fine swimming pool and jacuzzi. Good bar and very fine restaurant. Shower not up to standard, not clean, low pressure, not hot enough. Restaurant expensive and only average in quality compared with restaurants in the town. Good bed, pleasant staff, good location.